Camp SCRAP is an art camp focused on creative reuse. 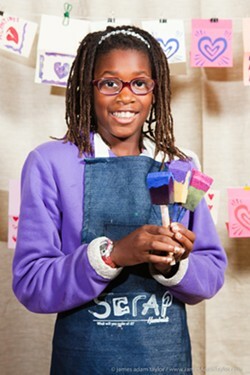 This camp is for children who LOVE inventing, making, and bringing their creative ideas to life. Each day there will be a fun mix of staff-lead projects and time for free building. Children will have opportunities to learn about and work with a wide variety of different materials. Days at camp are filled with experimenting, problem-solving, building, creating, and playing. Campers will have access to a craft supply wall chock-full of materials to reuse.